In its 55 years of independent rule, Malawi has “never experienced civil war or other debilitating national conflict. 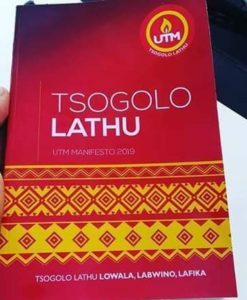 Yet, the country is engulfed in a dire socio– economic status quo,” laments Saulos Chilima in the UTM Manifesto that was launched on March 23, 2019 in Dowa district. The status quo is increasing poverty, closing of business enterprises, job losses and unemployment. This is accentuated by “poor management of the economy, low economic growth that lead to sub–standard social service delivery to Malawians in such areas as health and education, among others.” Amid this backdrop of Malawi’s ills is a culture of corruption, nepotism, and outright theft of public resources. In unveiling its Manifesto, the UTM introduced numerous strategies for steering Malawi on a path toward propelling the country to a better future. This discussion has chosen seven sections of the Manifesto that propels UTM ahead of the pack; and without minimizing the worth of others before or after, and without diminishing the import of other sections of the Manifesto, the seven are merely chosen on personal zeal and passion. They are agriculture, social policy (health, education, women, youth, sports, vulnerable groups), industrialization, the Presidency, Media, School of Government (diplomats), and Security. The UTM Manifesto in this section starts with a bit of history (credit to the Party for giving the country a foundation; in other words, Malawi did not start to live in 1994 as other would have you think: it has a past, with a story to tell, especially in this section). However as was pointed out in Part I of this analysis, the years 1969 to 1979 were the years when Malawi had both government-driven and private sector-driven massive number of industries. Among these were, Brown and Clapperton, Leyland, Blantyre Netting, David Whitehead and Sons, Ethanol, SUCOMA, Tambala Food Processing, Dulux Paints, Valmore Paints, Blantyre Print and Packaging, Airport Handlers Ltd., Cheeseboro Ponds, Lever Brothers, Bata Shoe Company, Viply, Pulp Wood Company, Mulanje Canning, Press Farming, Press Agriculture, Napolo Ukana, Southern Bottlers, Carlsberg Malawi Ltd., Grain and Milling, Press Furniture, Press Steel and Wire, WICO, and many more. Malawi enjoyed an uphill rise in factories, manufacturing companies, and massive employment opportunities for skilled, semi-skilled, and unskilled workforce. The de-industrial downhill was after internal and external forces and shocks. There was the fall of the Berlin Wall in 1989, followed quickly by the crumbling of the Soviet Union. This led to western countries flocking with their moneybags to Eastern Europe to prop-up rising independent nations. 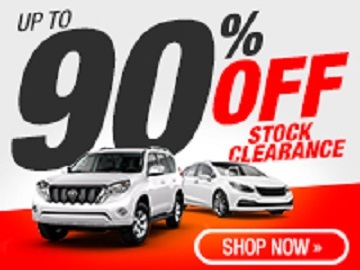 Internally, when we became a democratic nation in 1994, government was encouraged to remove its majority shares in numerous national corporations, manufacturing companies and other business ventures. This moving of government from business enterprise was under the guise of privatization. Through it, the Malawi government sold its shares to the highest bidders, and few Malawians participated in buying shares. In the long run, many foreigners bought the factories that were started with government buy-in; while some closed, downsized, other simply exported the manufacturing and labor-intensive units to other parts of the continent. It is highly commendable and worth noting that the UTM is eager to revive Malawi’s manufacturing sector, create new industrial zones. It is highly anticipated that it might be necessary to re-introduce the Malawi Development Corporation, with the caveat that the organization is to serve the interests of Malawian citizens or legal residents of Malawi. Assuredly, government will need to take a leading role in this new look in our national push for establishing industrial enterprises. These should be for all Malawians, not only those belonging to the ruling party. Additionally, as a nation we should get tired of being providers of our precious raw materials, in exchange for expensive and highly unaffordable merchandize (made with our raw material). Malawi became a self-governing country in 1963, independent in 1964, and a Republic in 1964. We were a one-party, dictatorial country, ruled by Dr. Hastings Kamuzu Banda under the Malawi Congress Party. In all the years up to 1993, Malawi had one leader. All others, answered to Dr. Banda, and were deposed off effortlessly by him. There was no Number Two, until 1993 when Gwanda Chakuamba became Malawi’s first Vice President. Ironically, he is also the only Vice President who served with Banda amicably to the end of their terms in 1994. The role of vice president has been a dicey one: chosen by the president but protected by the Constitution. In the four administrations operating in post-1994 Malawi, the vice presidents have fallen victims of falling out of favor with the president. It is admirable that the UTM Manifesto will allot an entire ministry (with the highest budgetary allocation) that will keep the vice president occupied with government business 24/7 and 365 days a year; he will not just be sitting idle, twiddling his thumbs, waiting to be given a task from the president. In this section, the UTM, also proposes that Section 91(2) of the Constitution will be removed. This section deals with the immunity of the president from criminal prosecution while in office. This is a bold proposal and one that aims to give a constitutional accountability of the First Citizen while in office. The media, known in Malawi, which is also as the Fourth Estate (fourth arm of) Government, has played an important role since the dawn of independence. However, journalists in the country have suffered political persecution both in dictatorial and democratic Malawi. The independent media is 27 years old, but struggles to make ends meet, its journalists are often their professionalism is compromised by political heavyweights that give under the table hand-outs. The move by UTM to free the Malawi Broadcasting Corporation (MBC) of political interference is to be lauded. It should also be greatly noted that the UTM Manifesto has plans to hold weekly media briefings. We trust this is at Presidential and or Vice-Presidential levels. This is a good indication of the over-the-top transparency the UTM envisages to create when it takes power in the May 21 Tripartite Elections. We wish to add that the UTM, once elected to the office President, should introduce a Bill that would designate one percent of the National budget to the operational costs of Malawi-owned media houses that have been operating in Malawi for two years. This will ensure the vibrant and sustainable existence of a truly free, independent, and pluralistic press in Malawi; a press that will be buoyant and excel to great professional standing, comparable to international media outlets. This bullet point is lauded most of all because our more developed nations from the international community never send a diplomat, no one is ever on the President’s entourage, if they have not received proper foreign service training. Malawi’s first five ambassadors (Gondwe, Katenga, Rubadri, Mangwazu, and Mbekeani) received training before they were sent to their posts Kenya, Ethiopia, UN and USA, Ghana, and UK respectively. Because of the peculiar sensitive nature of their service, any person that leaves Malawi, or works at the Foreign Affairs Ministry, requires the specialist training. The great marvel of such a programme is that Malawi is overstocked with former diplomats at ambassadorial and expert levels. These could be easily deployed to such a grand School of Government. The irony of the security sector in Malawi (again this is minus the MDF), in the 25 years since Malawi became a democracy, this sector has not changed from the way it used to operate during the one-party rule. Part of the challenge is the upper-hand dealings of political party heavyweights, the other is the stiff-necked nature of the officials that have taken the pre-democratic ways of their forefathers and brought the drama into democratic Malawi. This is the right time to permanently separate the state apparatuses from party politics. Indeed, Malawi deserves a robust economy based on the energy and industry of all its people!